yes , but we would like a home with older children. These lovely boys are litter brothers and are 6 years old. Sadly they are looking for a new home together, due to ill health of their previous owners. Happy friendly boys who are good with children, dogs and have lived with a cat. They haven’t had regular walks for a little while now so have put on a bit of weight. Both boys have been castrated. 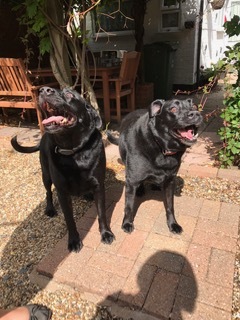 We have looking for an active home, with older children and with someone around during the day, oh and a strong arm for 2 dogs. They do pull initially with excitement but settle down after a little while. If you are interested in offering the boys a home please call Jacky on 07736 791899 or Barbara on 01234 831854. 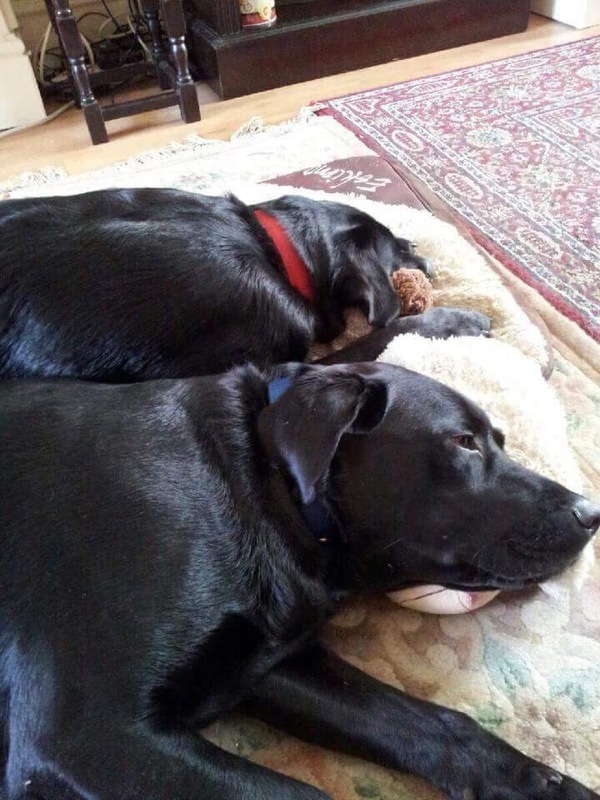 The dogs are in the Beds, Bucks, Herts, South Oxon area.